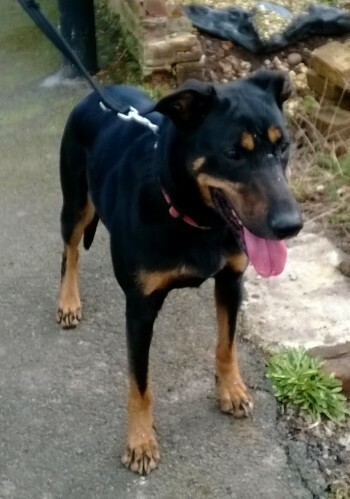 May is a Doberman X who was really nervous when she first arrived in May 2014, Goodness knows how she had been treated. She has gained her confidence nicely though now and enjoys being groomed and being out for a walk. She is a different dog to the one that arrived and should be in a lovely home with an experienced dog owner(s) who can continue to develop her, introduce her to new experiences and show her the love she needs and so deserves. May has already been with us too long as she is a young dog who would be perfect for Doberman lovers. She will be best in a home with no children around to frighten her.